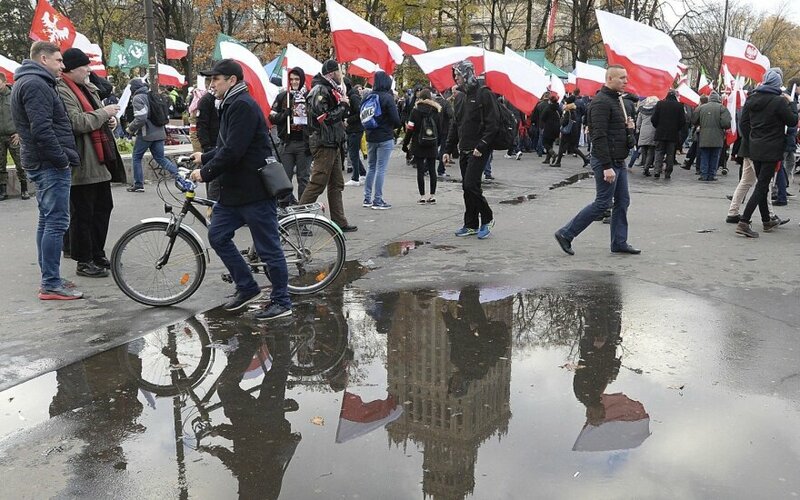 The large demonstration of the European far right movements that gathered more than 60 000 people on Saturday November 11th in Warsaw is symptomatic of the situation in Europe in several ways. First of all, it symbolizes the continuous rise of nationalism on our continent since many years. It is advancing among all age groups but particularly among young people, gaining influence in societies and political parties and spreading in an increasingly radical way. This rise is echoed by the rise of Islamism, which also appeals particularly to young people, for whom radicality appears more and more overtly and which leads to violent acts, notably but not only terrorists, which increase in number as well as in violence. 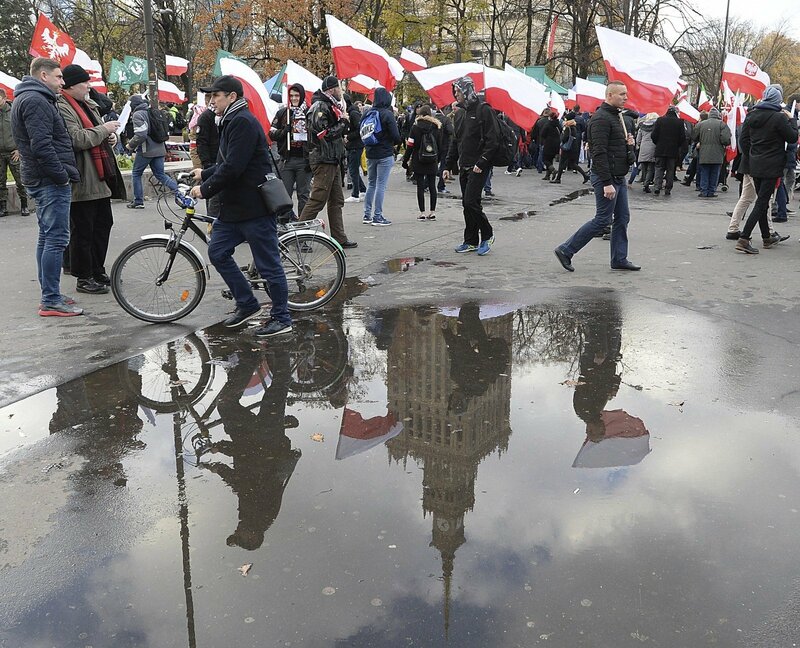 Next, the strong presence of protesters from Central and Eastern Europe to Warsaw has shown that we are witnessing a split at the core of our continent that covers much of the old East-West cleavage. The refugee crisis aroused sometimes to very different political positions and popular reactions between Eastern and Western countries, but these differences go well beyond this crisis. They concern the political systems, especially those from the former communist countries which move further and further away from liberal democracy in order to adopt authoritarian models. They also concern the values ​​that are common among the European, even if it is in the West in Austria, which is preparing to bring the heirs of the Nazis into its government. There is a serious risk that these differences, while growing, may lead to deep ruptures, as some former communist countries want the exit of the European Union. This risk adds to that of secessionism such as in Catalonia, which strains the unity of the Union. Beside this dismal state of European affairs, a source of hope for the future of Europe and democracy now exists. Indeed, a window of opportunity has been created with the election of Emmanuel Macron in France and the re-election of Angela Merkel in Germany. These are the leaders of the two principal powers of Europe far from perfect but lucid about the deadly dangers which threaten the Union and the democracy, determined to work together and to assume a leadership resolutely in the service of the reinforcement of a democratic Europe. This is a new moment and a unique chance to seize, in order to compete against rising nationalism and Islamism and to use it to confront them. Furthermore, some of the slogans of the nationalist demonstration on November 11th in Warsaw, which are actual calls for hatred against Muslims, recall that they are among the preferred targets of the nationalists. If Islamism is to be fought with total resolution, Muslims must have their rights fully respected, like all citizens of European countries. The aim of nationalism is simple: to lead to a radicalization that would itself lead to a solitary face to face between nationalism and Islam, his objective ally and with whom he shares many principles and to destroy the democratic forces on our continent. Finally, anti-semitism was at the heart of this demonstration. It was expressed without inhibition, as only Golden Dawn in Greece and Jobbik in Hungary dared to do some years ago, and with the burning of an effigy representing a Jew in a public demonstration in Poland short while ago. This represents the antisemitic push that is developing on the continent. From Turkey to Russia, via the Balkan countries, Hungary and many others, it is Georges Soros who is mentioned as the number one enemy of the nationalists. Soros: the banker and the revolutionary, the two antisemitic fantasies in one person. However, nationalism is not the only vector of the renewed anti-semite in Europe, Islamism is obviously another. They are Islamists who perpetrated anti-semitic murders, sometimes on children, in France, in Denmark and in Belgium. It is sometimes in the name of Palestine and in a perverse reversal of values, in the name of Human rights that Jews are persecuted, forced to change schools, neighborhoods, cities or even countries. As the last survivors of the Shoah disappear, vigilance against anti-semitism tends to fade in our societies, when the institutions are mobilized. A certain ideological blindness prevents the engagement of some, because the Jews are no longer persecuted only in the name of a supposedly superior race, but also in the name of a certain conception of Allah. Facing this, the commitment of the Democrats must be flawless. First, it is imperative to lead a clear ideological fight against nationalism and against Islamism. In particular, it is essential not to fall into the trap that they both sey, in order to drag the continent into the civil war of their dreams. This is a crucial issue of our time: we must show unity. Show unity in each of our countries and regions, especially between East and West, so to not let the EU and the continent be fractured. Similarly, we must put youth back at the core of a shared political project, because it is amongst them that nationalists and Islamists recruit, and it is the youth who holds a part of the keys to the future of the Europe. Finally, we must seize the historic opportunity offered to the democrats today, in order to deepen Europe and democracy. The structuring of a European civil society, the elaboration of a European identity, in particular through the generalization of the circulation of young people in Europe, the constitution of civil society institutions capable of supporting democracy, these are new frontiers to conquer. German military study: could the worst case scenarios turn true for the EU?